State-of-the-art technology and flexible, refined spaces guarantee a seamless experience for your event attendees. Let us roll out The Red Carpet for your special event. 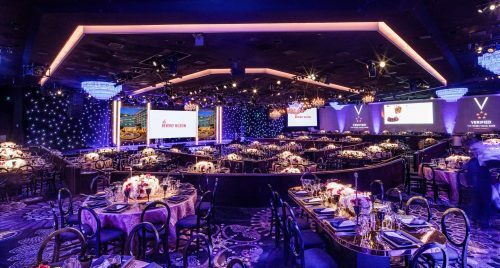 With more than 60,000 square feet of indoor and open-air event space, The Beverly Hilton boasts the most technologically advanced meeting facilities available. 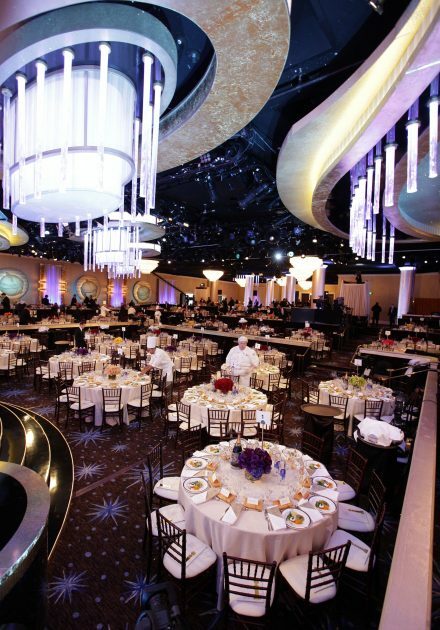 Our renowned International Ballroom plays host to glamorous annual events including the Golden Globe Awards Show, which has been held at The Beverly Hilton for over 50 years. From dazzling red carpet events and business meetings to relaxing vacations and key moments in Hollywood history, The Beverly Hilton remains the place to see-and-be-seen. Give your next meeting the red-carpet treatment. Choose from A-list added benefits when you book a qualifying program during one of the Group Value dates. 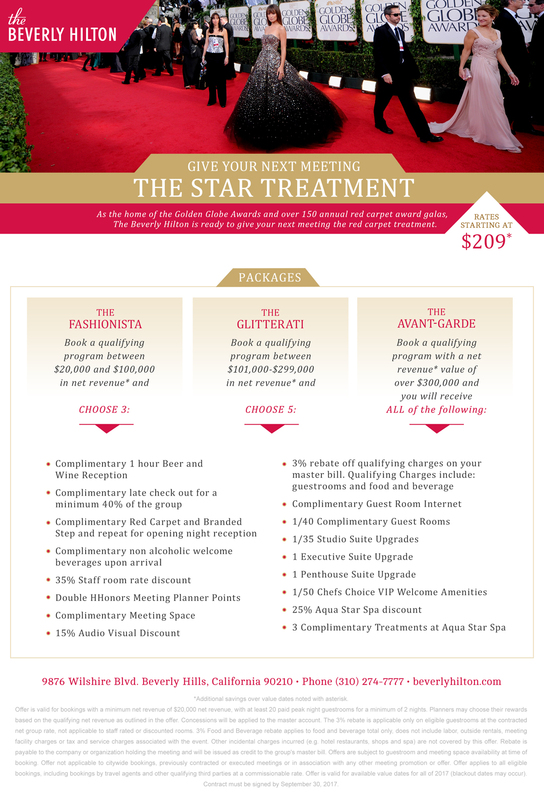 The Beverly Hilton rolls out the red carpet for turn-key meetings. Packages include meeting space, food and beverages, audio visual equipment, and guestrooms.